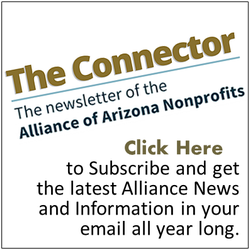 The Resources for Good business directory is a listing of Alliance members who are for-profit companies and consultants who offer products and/or services to the nonprofit sector. Use the fields below to find a Resources for Good member. Note: Listing in Resources for Good does not constitute an endorsement of the individual, business or organization by the Alliance. We strongly advise your continued due diligence. The Alliance reserves the right to remove any vendor from Resources for Good.